I’m a moderate on robo-umps. On the one hand, I support any amount of technology that will help get calls right. On the other hand, I am swayed by the experts who tell us the machines are not yet ready to call balls and strikes in real time; I worry about the potential backlash against the analytics and progressive baseball community if and when the machines blow a call. One argument that I do not find convincing involves a nostalgia for the human element of the game. I love tradition as much as the next person, but I feel no nostalgia when I think about this game, which took place on May 6, 2016. However, when I reflect on a particular Little League contest from the spring of 2001 and the place it has since secured in Gossels family lore, I begin to reconsider. The place: Codman Field in Lincoln, Massachusetts. The date: I don’t remember precisely, but some time in April or May 2001, perhaps exactly 15 years before the Ron Kulpa game that still haunts my memories. The participants: a bunch of nine-year-olds in the Sudbury/Lincoln Little League. Specifically, the game in question featured my un-victoried Athletics (un-victoried: the opposite of undefeated) against the Pirates of one Jake Eckersley, son of Hall of Famer Dennis Eckersley. The Eckersleys lived in Sudbury at the time, and Jake was in my grade in school. 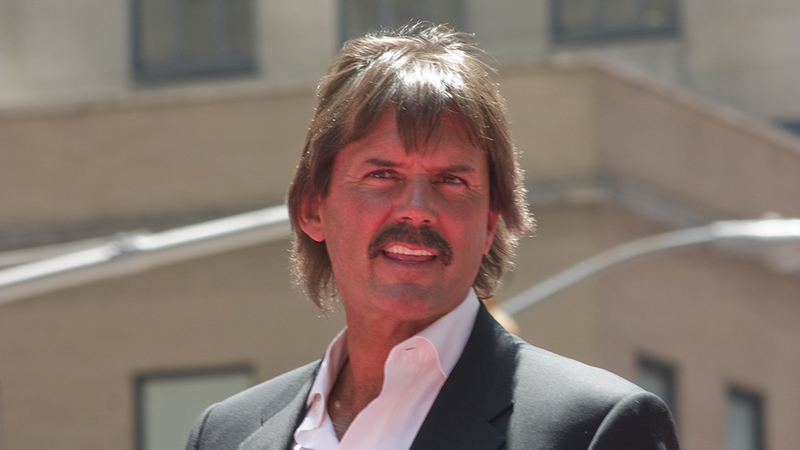 I was aware that Dennis Eckersley was a former major leaguer, but I had no real appreciation for his greatness; he hadn’t yet been elected to the Hall of Fame. Umpiring in the 9-year-old division of Sudbury/Lincoln Little League was spotty. We were supposed to have “professional” umps (i.e., eighth graders who were paid $30 per game) call balls and strikes from behind home plate, but more often than not they didn’t show up. When that happened, coaches umpired from behind the mound. On this particular day, we were again umpire-less, and the coach from the other team who volunteered for the job was none other than Dennis Eckersley. As I walked to the plate for my first at bat, my only goal was not to strike out. That was always my goal, for every plate appearance of all seven of my years of organized baseball. I was a terrible hitter; my last year, I got exactly one hit all season. I walked a decent amount, but then again, everyone walks a decent amount in Little League. I took my stance in the left-handed batter’s box and watched the first pitch sail by shoulder high. “Strike one!” Eckersley called. “I hate when coaches ump from behind the mound,” I thought to myself. “They can’t see well at all.” Then I settled in for the next pitch. Again, the ball came across the plate around my shoulders, and again Eckersley called it a strike. Same thing a third time; I unhappily trudged back to my dugout. I went up to the plate for my third at-bat determined not to go down looking again. I told myself: “Now I know his zone. 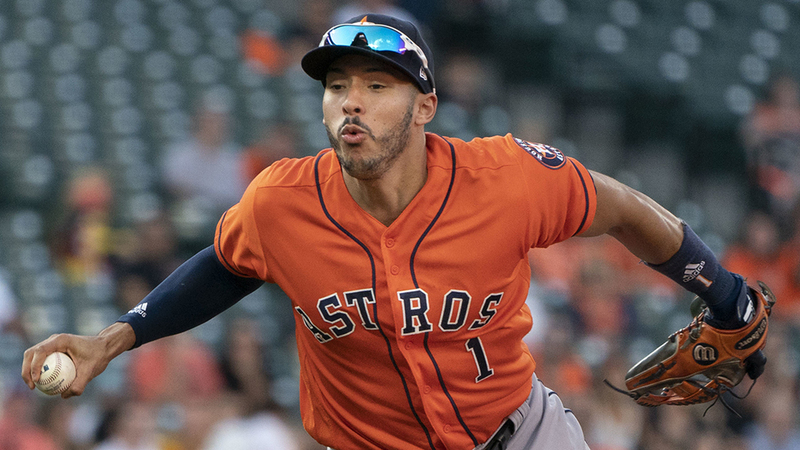 It’s a crazy zone, but that’s what it’s going to be, so I’ll just need to swing at anything.” The first pitch was way outside, but I stuck to my plan. I swung late and wildly, and I missed. Strike one. Second pitch, again nowhere near the zone, again a halfhearted swing, again a whiff. One more pitch at eye level, one more feeble swing, and I was down on strikes again. By this time, I was seething. Somehow, I kept my temper and finished the game without exploding. We lost, because we always lost. After our teams lined up and shook hands, our coach sat us down on the bench and explained that Eckersley would be over in a minute to sign autographs for us. When I heard this, I almost, almost got up and left. “I don’t want his autograph at all. He’s a terrible ump,” I thought. Unfortunately, all the other kids on the team were sitting patiently, excited about the chance to meet such a famous person. I stayed, purely because I was terrified of the social consequences of being the only one to leave. I didn’t come prepared to get a future Hall of Famer’s autograph. I only had a regular pen and no memorabilia aside from my team hat. The good news was, it happened to be an A’s hat. 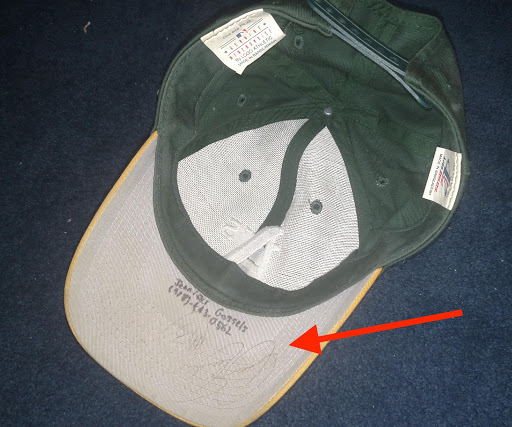 The bad news was, I’d already written my name and phone number on the underside of the brim in Sharpie. Ever since then, whenever my family sees Dennis Eckersley on television broadcasting a game, they tease me about “my buddy” and how much I “appreciated” his umpiring so many years ago. In retrospect, those three strikeouts were more than worth having this story to share for the rest of my life. Human fallibility, both Eckersley’s and mine, lives on from that game, and it’s now woven into the fabric of stories that binds my family together. Of course, if robo-umps come to major league baseball, or even find their way into all of professional baseball, Sudbury/Lincoln Little League will still rely on eighth graders and coaches to call balls and strikes. Stories like mine are in no danger of become casualties of technology. Still, remembering this game helps me identify with the anti-robo-ump contingent, the one that worries about losing the human element of the game. Then again, I still really wish Trackman had been helping Ron Kulpa behind the plate on May 6, 2016. Jennifer is a computer science Ph.D. student at Princeton University. My grocery list habit has a code called “Eck Cheese”. It signals me to get the top-shelf premium “high” cheese sometimes for use in an “educated salad”.